Live in Logan Square and walk to Scofflaw, Ground Control and Best Intentions. This 3 bedroom, 2 bath penthouse on a quiet, leafy residential street is a great value . Just refreshed for a new owner, this large, sunny condo has new quartz counter tops, Italian Scavolini kitchen, & just refinished hardwood floors. The great room features a dining area & gas fireplace. The master bedroom has 3 closets & a huge granite master bath w/large whirlpool tub, separate shower & wall mounted double sink vanity. The second bedroom adjoins a full granite bath & the 3rd bedroom is large & bright. 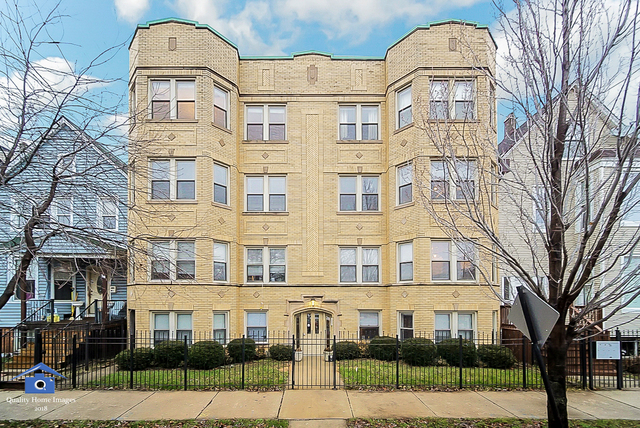 A spacious rear deck & deeded parking space are included. The condo has in unit laundry & central air conditioning. No dogs allowed and 2 cat limit. Steps to the Armitage and Kimball bus lines & one mile to the Blue line el.